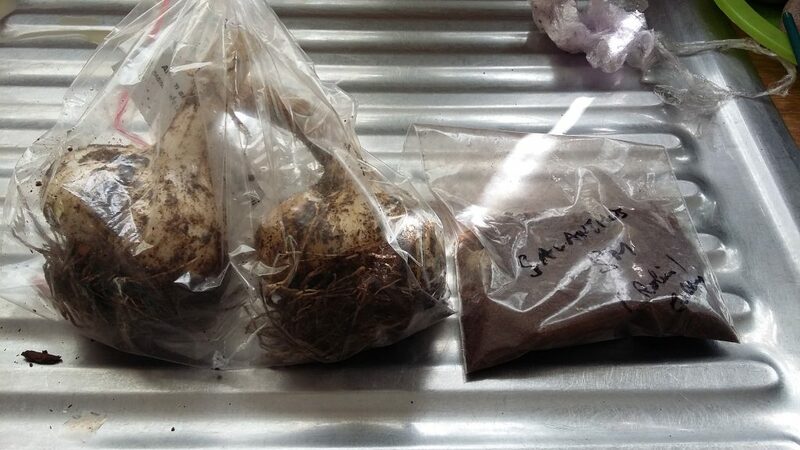 With so many posts on garlic, leeks and onions in a row it’s starting to look like I’m a bit of an allium nut. I’m not honest (although it’s going to take a lot of convincing as there may be more in the pipeline). Got in from work this morning to find a delivery of a large box marked “Chocolate chip muffins”. You’d think that I might be a bit disappointed to open it and find that it didn’t contain a single muffin but I wasn’t. Instead the box was full of my order from Edulis. 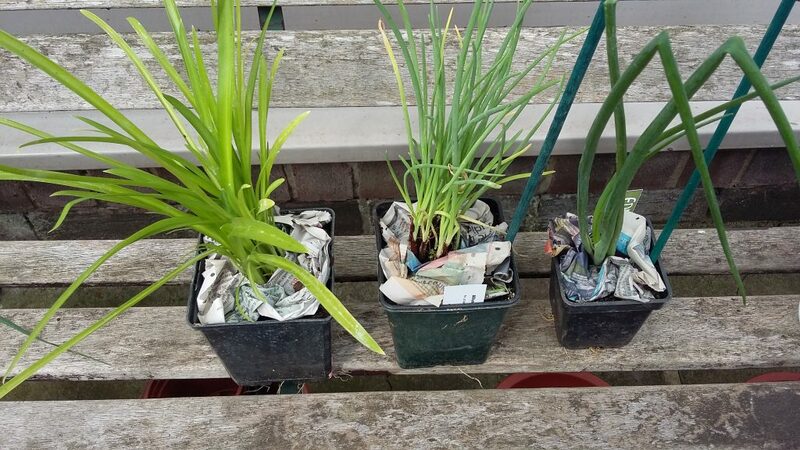 Hookers Onion /Chives (Allium hookeri ‘Zorami’) – although Allium acuminatum is also called Hookers Onion (guess there’s a lot of Hookers around – well rugby is popular). Everlasting/Eternal Onion (Allium cepa ‘Perutile’ ). Allium schoenoprasum ‘Black Isle Blush’ – chives but with a prettier flower.